Haven’t decided yet which transition method to use for ASC 606 (modified retrospective or full retrospective)? Then you’re in good company. According to a 2016 PwC survey, 52% of companies across all industries have yet to make that decision. The results of PwC’s survey allow companies to compare their progress on ASC 606 with that of other companies, both inside and outside of their industries. In this article, we highlight some of PwC’s key findings and point you toward helpful guidance on SAB 74 disclosures. PwC’s survey represents the responses of 700 executives from a wide range of industries. Thirty-four percent (34%) of survey participants serve as a CFO/controller and 47% serve as finance/accounting directors or managers. Sixty-five percent (65%) of participants represent public companies and 53% of participants have more than 1,000 contracts within their organizations. In addition to reporting progress on ASC 606, the survey also collects details on implementation experiences. Companies reported obstacles they’ve encountered, anticipated costs, resource utilization plans, and materiality expectations on financial statements. Consequently, survey results can help companies prepare for difficulties ahead. Lastly, this survey can help companies identify what information they should disclose to comply with SAB 74 requirements. Visit the PwC Revenue Recognition Survey to view survey results. This webpage also links to an interactive portion where viewers have the opportunity to explore the data from the survey by selecting specific questions and industries to focus on. It should be noted that although viewers can select up to eight “filters” to customize the chart, selecting a filter simply designates which industries to include in the chart below. The All Respondents category always refers to all survey respondents regardless of filters selected. A more detailed pdf of the survey results can also be downloaded from the link above. PwC’s survey indicates that 75% of public companies surveyed are currently assessing the impact of the new standard but have not yet started implementing. 52% of companies have not even chosen a method of adoption. Seventy-eight percent (78%) of participants reported that the new revenue recognition standard will have a moderate to high impact on accounting policies/procedures while 64% expect no material impact on the income statement and/or balance sheet. Lastly, survey participants ranked contract reviews (current and ongoing) the most difficult task in implementation. Developing and implementing new accounting policies and documentation ranked second. In March 2017, Connor Group, a specialized professional service firm that helps companies solve their most complex and significant matters including financial accounting, updated its own study on SAB 74 disclosures, and found similar progress results. The firm reported that 50% of companies have not yet completed the assessment of how the adoption of ASC 606 will affect their financial statements. To see more details on the study, visit Connor Group’s ASC 606 study. With the feedback from the regulators, including the SEC, the auditors and the industry professionals that reflected a significant worry about the approaching effective dates and the wide perception of lagging implementation efforts, many companies included significantly enhanced SAB 74 disclosures regarding the expected impact of the adoption in their most recent annual or interim filings. In some cases, companies could only share partial or preliminary disclosures of the potential impact of the standard; however, even limited disclosures could be valuable to investors. Very few companies were able to quantify the overall adoption impact. While progress has been made, many medium-size and smaller public entities still have a lot of ground to cover in their implementation process. As we monitor the market, many such companies are still in very early stages of assessment. 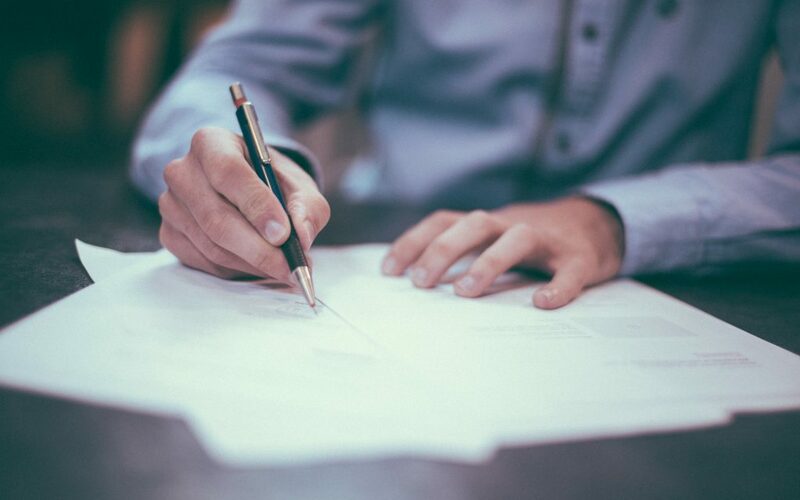 In providing key stakeholders with information about the expected impact of adoption on the financial statements, entities may need to develop pro forma financial statements based on their anticipated transition method (full retrospective or modified retrospective) to appropriately estimate the impact of adoption. There will not be a one-size-fits-all model for communicating the impact of adoption, but entities could consider providing (1) a short narrative that qualitatively discusses the impact of the change or, to the extent available, (2) tabular information (or ranges) comparing historical revenue patterns with the expected accounting under ASC 606. See Deloitte’s Financial Reporting Alert 16-3 for illustrative examples of appropriate disclosures. We currently anticipate adopting the standard using the full retrospective method to restate each prior reporting period presented…We anticipate this standard will have a material impact on our consolidated financial statements. While we are continuing to assess all potential impacts of the standard, we currently believe the most significant impact relates to our accounting for software license revenue. We expect revenue related to hardware, cloud offerings, and professional services to remain substantially unchanged. Specifically, under the new standard we expect to recognize Windows 10 revenue predominantly at the time of billing rather than ratably over the life of the related device. We also expect to recognize license revenue at the time of billing rather than over the subscription period from certain multi-year commercial software subscriptions that include both software licenses and Software Assurance. Due to the complexity of certain of our commercial license subscription contracts, the actual revenue recognition treatment required under the standard will be dependent on contract-specific terms, and may vary in some instances from recognition at the time of billing. AppDynamics, a San Francisco based company preparing for an IPO, offers another example of SAB 74 best practice. The company disclosed its ASC 606 status in its 2017 S-1 form on page F-18. With the help of the PwC Revenue Recognition Survey, companies can gauge their progress on ASC 606 through industry comparisons and better anticipate implementation obstacles. The survey also provides relevant impacts and information that can be disclosed to fulfill SAB 74 disclosure requirements. Although a large percentage of companies lack significant progress on ASC 606 implementation, the SEC has requested thorough SAB 74 disclosures that describe the anticipated impacts of the new revenue standard. 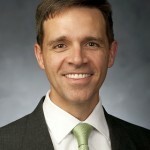 Professor Wilks is the Director and EY professor of BYU’s School of Accountancy. From 2006 to 2008, he worked as an academic fellow at the Financial Accounting Standards Board in Norwalk, Connecticut. While there, he led the development of the new international standard on revenue recognition, a standard that was released in May 2014. Professor Wilks also served from 2008-2009 as an academic advisor to the International Accounting Standards Board in London, England. He has also served as a technical advisor to Connor Group, which provides technical GAAP review, IPO services, and SEC reporting guidance to firms preparing for IPO. In January 2014, the US Financial Accounting Foundation appointed him to the Financial Accounting Standards Advisory Council.